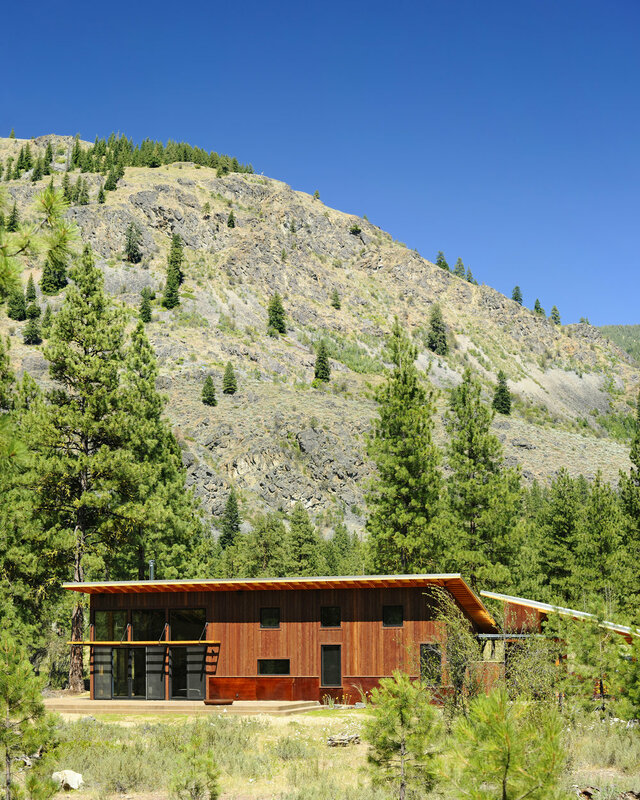 This cabin, with direct access to the cross-country ski trails of the Methow Valley, was designed to be a comfortable, practical refuge for an active young family. The compact L-shaped plan creates a “parents wing” and a “kids wing,” allowing for privacy within a small footprint. On the exterior, the plan forms a gracious entry courtyard that shields the house from the road and provides a quite, out-of-the-wind garden that contrasts with the generous family-oriented terrace on the trail side. 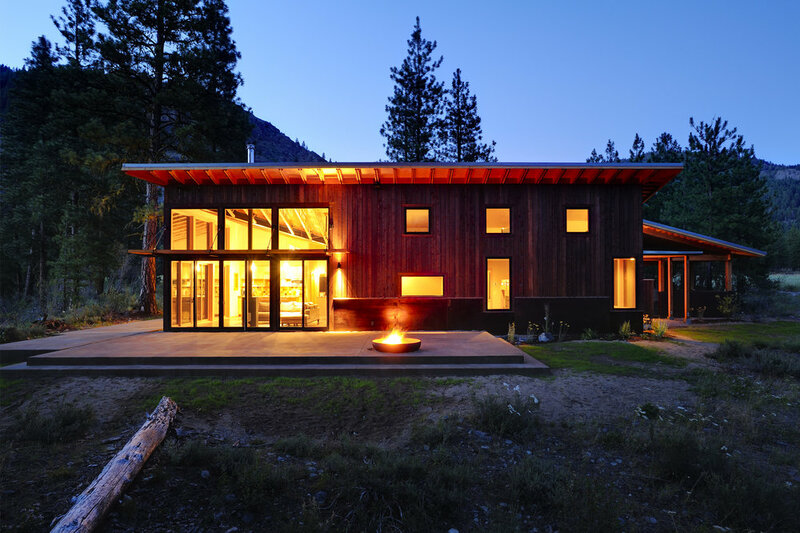 This is a low maintenance house, built to accommodate fun and recreation and planned to serve its owners for generations.